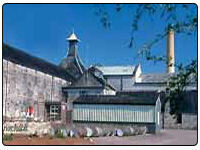 The anCnoc distiilery was built in 1894 and is owned by the Inver House Distillers. The name Knockdhu is with this distillery from the start, but the name was changed because it was to a like to the Knockando distillery and they did not want it to be confused with this other brand. The word for anCnoc means is the Gaelic word meaning the hill. The distillery location is in the village of Knock which is near the River Spey and Deveron in the Scottish Highlands. The distillery has a website which is full a great information and was a very interesting read. So go to www.ancnoc.com to find out in detail regarding anCnoc. On Planet Whiskies you can also buy most of the whisky produced by going to anCnoc Whisky Malts Whisky page.